In August 2014 Emed explored the value of medicinal cannabis and questioned why Australian governments (both from a federal and state viewpoint) were dragging their feet in introducing it. 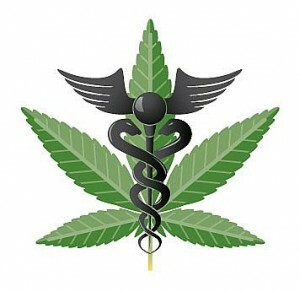 Medicinal cannabis has successfully being used for people who experienced chemotherapy-induced nausea and vomiting, as an appetite stimulant for HIV/AIDS and cancer patients, to prevent wasting, pain and neurological disorders, to prevent the intraocular pressure associated with glaucoma and for pain and spasticity in multiple sclerosis as well as the control of epileptic seizures. In October 2014, the states and Commonwealth reached an agreement to collaborate on medicinal cannabis, with NSW to lead research through trials and Victoria to be the first state to legalise it . Once state laws are changed, the federal Therapeutic Goods Administration (TGA) will have the final say on whether medicinal cannabis can be legalised. NSW is leading research in Australia through trials of medicinal cannabis. Liberal NSW Premier Mike Baird said up to $9 million would be spent on three trials of medicinal cannabis to examine the benefits for a variety of patients. The NSW Ministry of Health and the Sydney Childrens Hospital Network (The Childrens Hospital at Westmead and Sydney Childrens Hospital at Randwick) have begun preliminary development work on a paediatric epilepsy trial, which is expected to start enrolling patients in 2016. “Once we have the clinical evidence that medicinal cannabis can reduce suffering then the Government will consider a range of supply measures, including importation. But if that does not prove successful then the Government will assume responsibility for supply itself” Premier Baird stated. Premier Baird indicated that NSW police will formally be given discretionary powers not to charge terminally ill patients in possession of 15 grams of cannabis or less. Currently NSW police are already exercising individual discretion to people in these sort of circumstances. The Victorian Labor Government aims to become the first state in Australia to legalise medicinal cannabis, hopefully by the end of 2015. At this stage medicinal cannabis would be made available to treat people with terminal illnesses or life-threatening conditions. In the early part of 2014 the then opposition leader Daniel Andrews said the law was outdated and needed to be ‘modernised’. The Australian Medical Association (AMA) contend that the medicinal cannabis trials should use only cannabis-based pharmaceutical products that are already on the market overseas but not available in Australia. There are two types of these drugs. One contains a synthetic version of THC, the main mind altering molecule in cannabis and includes drugs called dronabinol and nabilone. The other type is new on the market and is an extract of the cannabis plant called Sativex. It contains equal amounts of THC and another key molecule, CBD. It is the only cannabis-based medicine approved by the TGA but only for the treatment of spasticity in muscular sclerosis. Final Word – Are Further Trials Necessary? Positive rumblings are occurring regarding both the trials and the legislation of medicinal cannabis at a state and national level. However are further trials really necessary? Additionally some proponents say that 2016 is too long a time to wait for those that want access to medicinal cannabis. The Victorian ALP agree that there is already more than enough cannabis science to warrant changing the law. “Look around the world. There is an enormous amount of literature, there is an enormous amount of peer reviewed work, where there have been clinical trials in lots of other parts of the world,” said Premier Daniel Andrews. Medicinal cannabis in the form of tincture or vaporiser has been found to be effective and safe so synthesising medicinal cannabis is unnecessary and hands the power and control to big pharmaceutical companies who do not have the best interests of the individual at heart but clearly to making enormous profits for their stockholders. 2015 is emerging as a keystone year for medicinal cannabis in Australia. It is hoped that both the state and federal governments abide by their assurances and promises and allow access to medicinal cannabis to those that need it most.